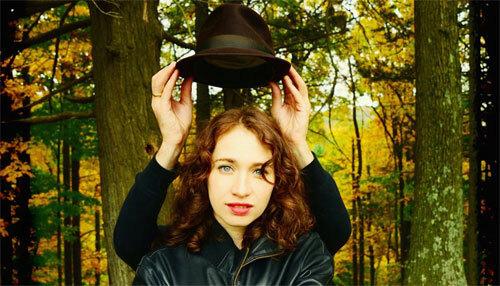 On her seven studio albums – from 11:11, her 2001 debut through her latest, Remember Us to Life, Regina Spektor has made a name for herself as a consummate composer of piano-based pop music in a singer-songwriter style. Her biography is far from that of the standard pop musician, however. Born in Russia at the tail end of the Soviet era, she emigrated to the U.S. with her family when she was only 9 years old. Thanks to an organization called RIAS (formerly Hebrew Immigrant Aid Society), Spektor’s family was able to settle in the Bronx borough of New York City. Spektor had begun classical piano studies in Russia, but had to leave her piano behind when her family departed Moscow. Once settled in the U.S. Spektor continued her music studies; she would graduate from Purchase University’s Conservatory of Music in 2001, the same year she recorded the self-released 11:11. As a result of her background, Spektor identifies with the American immigrant experience. Not so much in the specifics of her own story, but in a wider sense. “Sometimes I think it doesn’t matter at all that I’m from Russia,” she says. “But it matters that I’m an immigrant. Because I have that experience of leaving a place.” She says that she sometimes relates more to someone who has recently emigrated from, say, Colombia than to a Jew whose family has been in the U.S. for a few generations. Yet despite her unique biography, Spektor focuses on commonalities rather than developing a sense of self based on being different. “I’m so much more interested in how my experience is like all the other refugees, or all the other people who had to learn a second language, or all the other people who had to watch their parents leave a familiar environment and sort of start fresh,” she says. Spektor spent her late childhood and teenage years in New York City. In that atmosphere, even years of intensive classical piano training didn’t keep Spektor from discovering and appreciating modern popular music. She’s on record admiring the work of Ani DiFranco and Joni Mitchell, and their work – along with many other singer-songwriters – has informed her own songwriting. Spektor began writing her own songs at age 16, and within two years she had found a way to combine her songwriting with her more formal skills as a pianist. Success came gradually; after self-releasing her first tow albums, she was signed by Sire Records in 2004. That label released her third record, Soviet Kitsch. The album received positive critical notices but did not chart. A live album (Live at Bull Moose) followed in 2005; it didn’t sell in great numbers, either, but it did help increase her profile and expand her fan base. Things changed with the summer 2006 release of Begin to Hope; Spektor’s fourth studio release charted in 7 countries including the U.S. And the U.K., going Gold in four. By the next year, she was a featured performer at the Bonnaroo Music and Arts Festival in Manchester, TN. In addition to singing and playing piano onstage, Spektor occasionally played electric guitar as well. Spektor views the various milestones in her career as points on a curve rather than ends in and of themselves. “I don’t think there’s ever a moment at which you ‘make it,’” she says. Making the point that success for musicians can be measured in so many different ways – financial security, personal growth, album sales – she finds the whole question of defining success a bit overwhelming. As Spektor’s profile rose, she took the opportunity to expand her choice of musical instruments. Though her formal training focused exclusively upon classical piano, Spektor had an abiding interest in electronic keyboards as well. In fact, Spektor often works with an electronic instrument when composing. That choice is based on practical considerations as much as anything else, she says. “because I can do it at all hours, and I can play really quietly.” Spektor and husband Jack Dishel have a three-year-old son at home. But there’s more to the decision than just wanting to let the toddler sleep. “Sometimes having the simpler sound without all the complexities of [an acoustic piano’s] partials can inspire a different kind of songwriting,” Spektor says. “Maybe a chord I was hearing one way because of something resonating becomes very bare” on an electronic keyboard,” she observes. “And then the other way around, too: I’ll write something playing on the keyboard, and then when I play it on the piano, it becomes too muddy and complicated.” In those cases, she might end up using electronics on the album, as she did extensively on her 2006, album, Begin to Hope. There’s a sense of wonder in those experiences, Spektor believes. “I’ve always really liked when that happened,” she says. “It accesses a different part of your brain.” She notes, for example, that songs she’s written on guitar are very different than ones composed on piano. Spektor does play guitar both in the studio and occasionally on stage, but keyboard-based instruments remain the primary focus of the conservatory-trained singer-songwriter. For about a decade now she says she has embraced synthesizers, too. She has a keen interest in samplers, keyboards that accurately reproduce the sounds of other instruments.